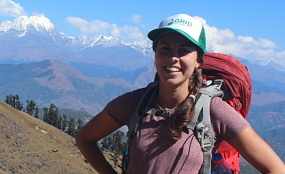 Stephanie comes to GRID with experience across the environmental, education, and community development fields, here in the U.S., in Latin America, and in the Asia Pacific. She feels passionately about GRID’s community-centric approach and the incredible opportunities that energy access affords, which can go far beyond just turning on the lights. Stephanie is originally from Santa Monica, California, and holds a bachelor's degree in biology from Cornell and a Master of Environmental Science & Management from the Bren School at UCSB. In her free time, she loves to travel and loves being outdoors running, swimming, biking, hiking, or playing soccer!